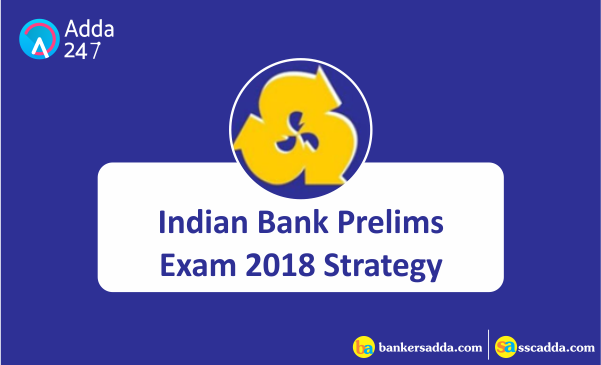 As per the Notification of Indian Bank, the preliminary examination is scheduled to be held on 6th of October 2018. Before going for any competitive examination, one must always have an adequate knowledge of the syllabus, examination pattern, the changes introduced in the pattern of examination, and how one should plan his/her preparations in a way to do with the syllabus and the revision before the examination takes place. So, to make your preparations even better and to help you make a headway in your career in the banking sector through Indian Bank Recruitment, Adda247 is providing you with a strategy to deal with all of it with poise. As they provide with a public sector job with a handsome salary, one would like to have the privilege of working with it for sure. As you are left with two months, prepare a strict study plan and give most of your everyday hours to studies only. Such a timetable would help you complete the target on time. Start revising all the topics that you are done with. Making a timetable inculcates a sense of discipline; the aspirant is bound to give a certain amount of time to a particular subject or topic. Regular studies reduce the level of stress, as the number of topics to be done does not accumulate into blizzards, hence provide the aspirant with a better physical and mental health. If you do not revise the topics that you studied months back, you end up remembering nothing at all. Do remember that you need to assess your progress from time to time. Practicing with test series helps you ace the original tests/examinations. You can identify what topics you are good at and where you lack. That way, in the original examination, you will choose to attempt the very section first that you are very good, or say fast at. 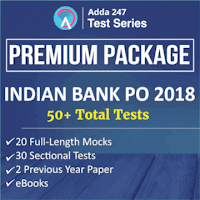 Adda247 test series encompass a range of questions that match the level of frequently asked questions, previous year questions, and new pattern questions for Indian Bank PO Prelims Examination. 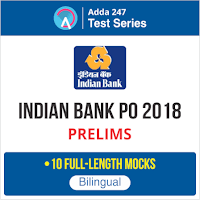 Computer-based Test Series for Indian Bank PO also help you save your time as they simulate the real tests and let you know you how to attempt the questions in a way that you are able to attempt the maximum number of questions within the stipulated time. It also gives you an All India Rank so as you can assess where you stand and how much more you need to work in order to make the grades in original examination. The trick to scoring marks in Quantitative Aptitude Section is to attempt the questions on Quadratic Equations, Simplification and Approximation first and then going for Number Series. After having attempted all these questions efficiently, go for Data Interpretation. The number of questions based on DI in the examination can range from 10 to 15. In every DI 3 questions are always doable and the rest two are a bit tricky and calculative. The remaining few questions will be based on miscellaneous topics like CI & SI, Time and Work, Pipes, and Cisterns, Partnership, etc. Practice continuously, it will pay big time. The trick to attempt the maximum number of questions in Reasoning Section in minimum time is to attempt the difficult puzzles in the end. Start with the questions that are not in the form of puzzles, you can choose to start with questions based on inequalities, direction and distance, syllogism, coding-decoding, alphanumeric series, and other random topics. Then try to start with puzzles that appear easy to be solved and proceed with moderate and difficult puzzles in a similar way. So, this is how you have to manage to attempt this section. The trick to scoring in English section can vary from one person to another depending on his/her strengths and weaknesses. If you are good at vocab and reading then attempt the reading comprehension first and proceed with Cloze Test and other miscellaneous topics like Error Detection, Para Jumbles, Phrase Replacement, Double Fillers, etc. But if you are good at grammar, attempt Reading Comprehension in the end. The Reading comprehension too should be attempted in a way that you attempt questions based on vocab and phrases first and then the questions that need a deep penetration through the paragraphs. The important topics for cloze test are subject-verb agreement, preposition and verbs. These topics may help you some other questions too that will be based on grammar. So make sure that you have these topics on your fingertips when you are to attempt the examination. So students, work hard, put your heart, mind, and soul into even your smallest acts. This is the secret to success. Best of luck for your preparations! !